The Labour Party’s quest to root out any and all forms of anti-Semitism took a turn this morning, with the deputy leader announcing a frontbench MP is under scrutiny for his surname. Andy Burnham, the shadow home secretary, has been accused of being anti-Semitic, with people from all political sides suggesting his surname “flies in the face” of Jewish culture. Burnham’s accusers suggest his surname goes against one of Judaism’s core beliefs – that of abstaining from the consumption of pork. Tom Watson, the Labour deputy leader, said this morning: “The shadow home secretary needs to carefully consider his position. These are delicate times, and having an insensitive and provocative surname such as ‘Burn-ham’ undermines the Labour Party as being open to all groups. 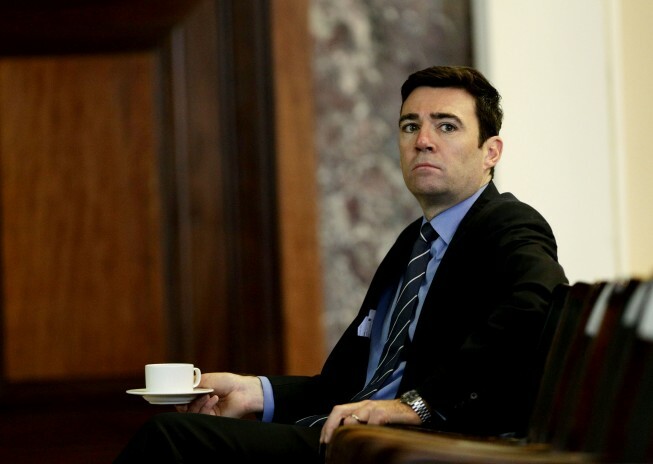 Burnham has declined to respond to the criticisms fully, but has reportedly said they are “simply ridiculous”. Some have sided with Burnham, but have mocked the Labour Party for their political correctness. Boris Johnson MP said: “The Labour Party are going the whole hog to cut away any fat that might smell like anti-Semitism. “It seems they are far, far out to sea – in the Frisian Sea, no less – and they are slowly sinking, with only a small pail to rid themselves of the water.